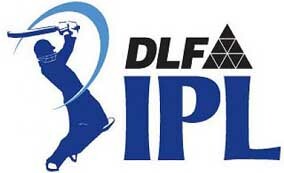 23 Mar :The Centre has dismissed the remarks of the BCCI president Shashank Manohar as "unwarranted", who had held the government attitude responsible for moving the Indian Premier League out of the country. "I have read a number of statements of the IPL decision which obliquely criticise the central government. These statements require an answer. Some unwarranted comments also deserve a re-joinder," Union Home Minister P Chidambaram told a press conference at New Delhi on Monday. Manohar, after the BCCI working committee on Sunday, had said that they were forced to take the tournament out of the country because of the government’s attitude. "If he (Manohar) was referring to the central government. The remark is entirely unwarranted. It is contrary to the letter of March 4, 2009, wherein N Srinivasan, Secretary BCCI, said ‘we shall not ask for central para-military forces to provide security for matches’," Chidambaram said. Chidambaram hits back at BCCI, BJP In a sharp reaction to the criticism of the Central government over the IPL issue, Union Home Minister P Chidambaram has hit back at the BCCI and the BJP, saying that the cricket tournament was a "shrewd combination of sport and business" and there was no need to add politics to it. A day after the BCCI announced that the second edition of the IPL was being shifted to a foreign country because of security issues in India; Chidambaram told a press conference that while he had no comment on that decision, he had read a number of statements which obliquely criticised the Central government. "These statements require an answer. Some unwarranted comments also deserve a rejoinder," he added. Taking on Gujarat Chief Minister Narendra Modi, who had described the shifting of the IPL out of India as a "national shame", the Home Minister said that most people in India thought that the Gujarat communal riots of 2002 were a national shame. To another BJP leader Arun Jaitley’s comments that the decision will send a negative message to the world and that the Congress-ruled states have been non-cooperative towards holding of IPL in India, Chidambaram said, "I know that Mr Jaitley has a penchant for exaggeration, but because he also wears the cap of the president of the DDCA he seems to have gone overboard this time." Making it clear that adequate number of security forces have already been provided to the Election Commission, the Centre has said it cannot pull back forces from their existing duties for the polls. "We are providing what we can provide. We cannot pull out all our BSF companies from the border, we cannot pull out all our companies from the Naxalite affected states, we cannot pull out all our companies from the installations they are guarding," Home Minister P Chidambaram told reporters at New Delhi on Monday. EC had said availability of forces was less in this elections as compared to 2004 whereas the deployment in the field was more as against the last polls indicating that it may seek more forces from the Home Ministry. "I am not comparing the forces of last election and this election. The last election had different schedule, different dates, number of days. My information about forces, given by my officials, that x number of companies of CPMF and y state forces were agreed on what MHA could provide. Of course, if more forces could be available, EC would have been happy," he said. Chidambaram said there was no formal demand from the Election Commission to provide any additional security force. "One of the Election Commissioners in a conversation asked me if more forces could be provided. But we have not received any formal communication from the EC so far, more than what has been agreed on," he said. With turmoil in its neighbouring countries, India finds itself in a "ring of fire", Home Minister P Chidambaram has said and termed some of the neighbours as qualified to be called "failed states". "India finds itself in a ring of fire. Our neighbours are countries in difficulty. Some of them even qualify to be called failed states," he said at a function to pay tributes to Anandswarup Gupta, founder director of the Bureau of Police Research and Development at New Delhi on Monday. Chidambaram, however, did not name any country. The Home Minister said India faced a number of threats to its internal security, with terrorist attacks not only taking a heavy toll but also creating fear psychosis. Left wing extremism, activities of Indian insurgent groups and violence and hatred spread on communal, regional and sectarian lines were other problems, he said. Chidambaram said police organisations and forces have a "tremendous responsibility" in meeting these challenges. He pointed out that over the years vacancies in the constabulary had not been filled and the police had not been given the "status and stature" they needed to carry out their onerous responsibilities. While police personnel should be fighting fit, officers must be "thinking officers", like Gupta, who distinguished himself as an outstanding police officer, he added.